Chances are, if you’ve been downrange, you’ve experienced or witnessed a deeply distressing or terrifying event. You may have seen innocent life taken, witnessed friends being wounded by an improvised explosive device (IED), or been trapped for what seemed like days in the heat of a firefight. Upon returning home, you were probably given a series of tests to determine if you had suffered trauma that could lead to PTSD. You were being tested for a mental health condition. Talk of the mental wounds of war surrounds us. We see it on TV, in the newspaper, and on social media. In 2013, the U.S. Military spent over $1 billion on mental health care. That’s double the amount spent in 2007, and the number continues to grow. But what if war didn’t only wound your mind? What if it wounded your soul? No one questions the mental torment a person can experience in the wake of combat, but what are the spiritual implications of experiencing or seeing a terrifying event during war? What if PTSD isn’t just a wound of the mind, but also of the soul? Most people believe that we are made up of a mind, a body, and a soul. Someone once said that we are all spiritual beings on a physical journey. For some, that journey led to combat. During combat you experienced things. Some things you experienced were amazing and wonderful and you wouldn’t trade them for anything. Other memories you’d rather forget. Some of your experiences left a mark on you that changed the way you see the world. Did combat also wound your soul? We believe that combat wounds the soul and that healing soul wounds may unlock ultimate healing from PTSD. There are many symptoms associated with combat trauma. You could probably make a lengthy list of them yourself. What if PTSD isn’t just a wound of the mind, but also of the soul? Imagine a picture of a tree. You can see both above and below the ground. The portion of the tree above ground can be associated with physical fruit. The part of the tree below ground can be labeled spiritual roots. Many of us spend the majority of our lives trying to manage and treat the symptoms that we experience in the physical sense – the things we’ve just labeled as physical fruit on our trees. These symptoms could include anger, depression, sleeplessness, relationship dysfunction, or substance abuse. We may have used therapy, prescription medication, or self-medication to reduce the impact of those symptoms on our day-to-day lives. However, for many of us, life hasn’t become easier. In fact, things may be getting worse. Have you ever pulled a weed from the ground only to see a new weed spring up in its place a few weeks later? This is how it is with many of the struggles you may have been facing since returning home. If you don’t dig down deep to grab the issue by the root, a new issue will pop up in its place. If you leave the spiritual root issues unresolved, your physical fruit issues will continue to exist and grow out of control. A tree with a damaged root system can’t be a healthy tree. Simply treating the physical manifestation is insufficient if you want to live a life that is truly free. Do you want that? Do you want to be free? It starts by addressing the spiritual roots of your life. By addressing the spiritual root issues, you can experience lasting freedom and joy. Regardless of how strong you are, how fit for battle you might believe you are, some battles require a force, not a single warrior. PTSD is such a battle. ReBoot Combat Recovery offers help to those who know the consequences of being downrange. Participants learn ways to sort out the emotions, physical consequences and spiritual bankruptcy that often follows the battlefield. Looking at trauma from a spiritual perspective allows you to address the spiritual root issues. When you do, you can experience freedom and joy. It is important to remember that you don’t have to deal with PTSD alone. Click the link below to connect with one of our warrior connectors. For further information on PTSD and Moral injury, check out the link to ReBoot Combat Recovery. The Warrior’s Journey is privileged to partner with a number of organizations that meet the needs of warriors. 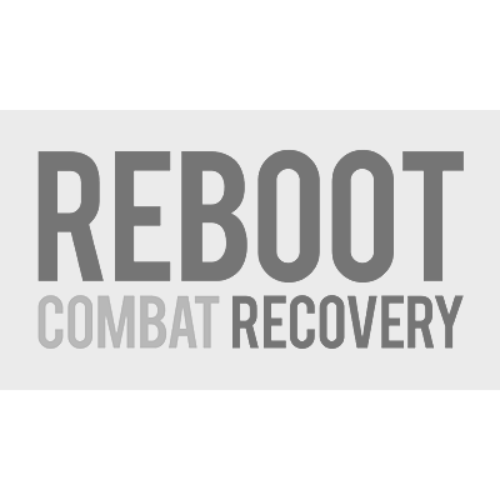 ReBoot Combat Recovery is dedicated to bringing hope and healing to combat veterans and their families through group meetings and outstanding materials designed to help men and women like you survive and thrive while coping with the cost of battle.